One of the world’s first recycled concrete buildings. 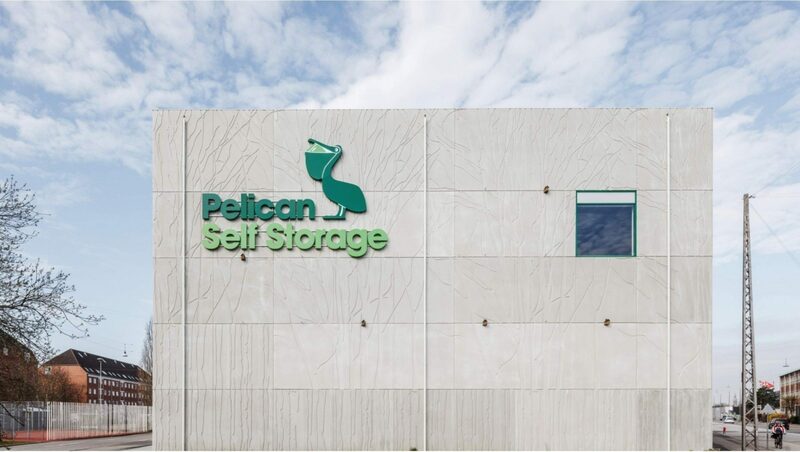 Pelican Self Storage is one of the world’s first buildings made from recycled concrete. 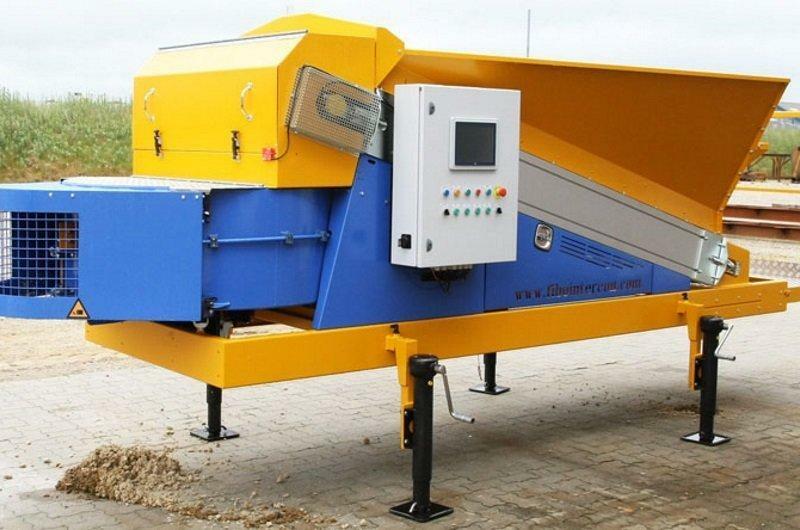 It has set new standards for sustainable construction and handling of construction waste. This project is pioneering in the field of sustainable construction, developing constructively usable recycled concrete with the support of the Ministry of the Environment in Denmark. It is an example of how the positive development of an increased focus on sustainability and the circular economy in society can turn into concrete projects with significant environmental benefits. Due to the greater focus on minimising CO2 emissions in the construction industry, Pelican Self Storage wanted to demonstrate the production of concrete structures that have aggregates made from crushed concrete and bricks from demolished buildings. 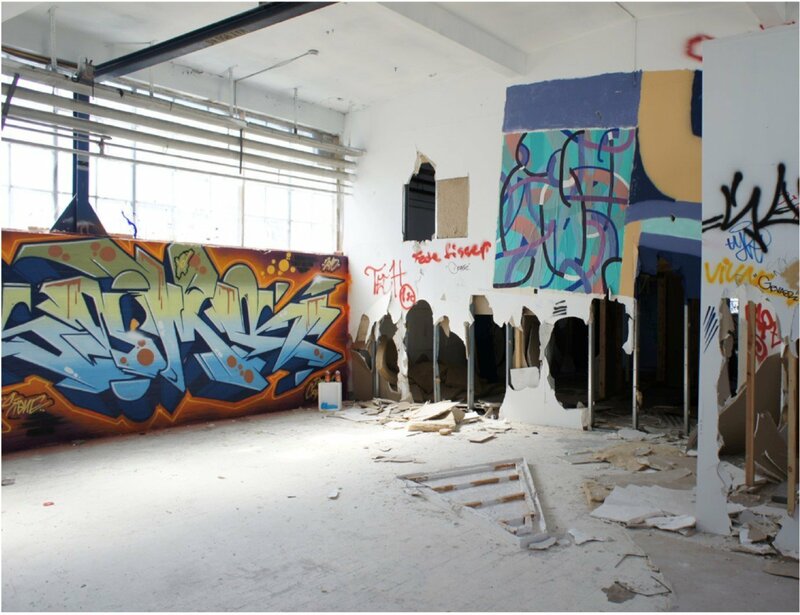 The purpose of the project was therefore to develop a total concept for the on-site reuse of the demolition materials. The goal was to make the new structures with 80 to100% of concrete produced from the demolished building. The method saved using natural quarried resources. When a concrete building is demolished, the standard procedure is to crush the concrete and re-use it for road sub-base. At Pelican Self Storage, it was decided to challenge the standard procedure by re-using the crushed concrete from the existing buildings as aggregate for the concrete elements of the new warehouse. The project was a great success and now Pelican Self Storage are proud to be pioneers of recycled concrete buildings. The demolition material was sorted on site and crushed using a concrete crushing plant. The concrete was crushed to 32mm and 20mm to dust. Stock piles of the various material were stored on site in material bays. The concrete design mix was developed using a sieve analysis of the crushed concrete. The design mix was then tested by casting test cubes that were crushed at 7, 14 and 28 days to ensure the concrete met the design strength. The moisture content of the aggregates was tested and put into the batching plant software. The computer then compensated for the moisture content of the aggregate during batching. Concrete testing was carried during the contract period to ensure conformity to the design mix. 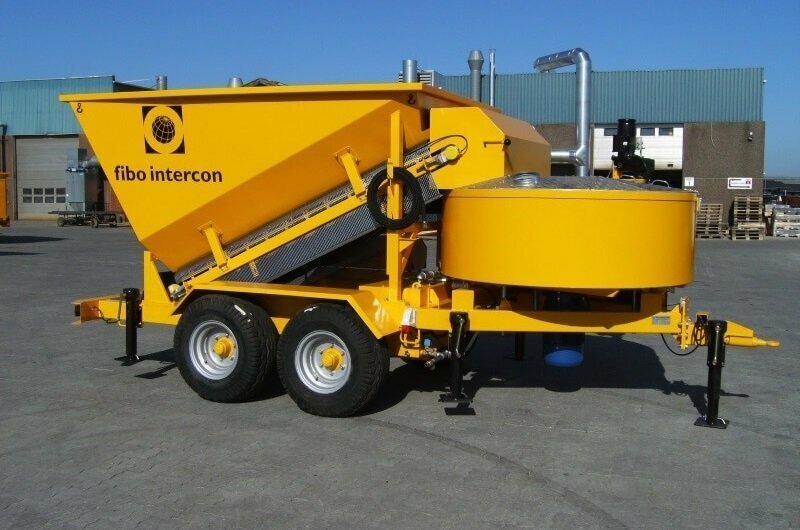 The main Contractor selected a B1800 Fibo Intercon concrete batching plant for the on-site concrete production. 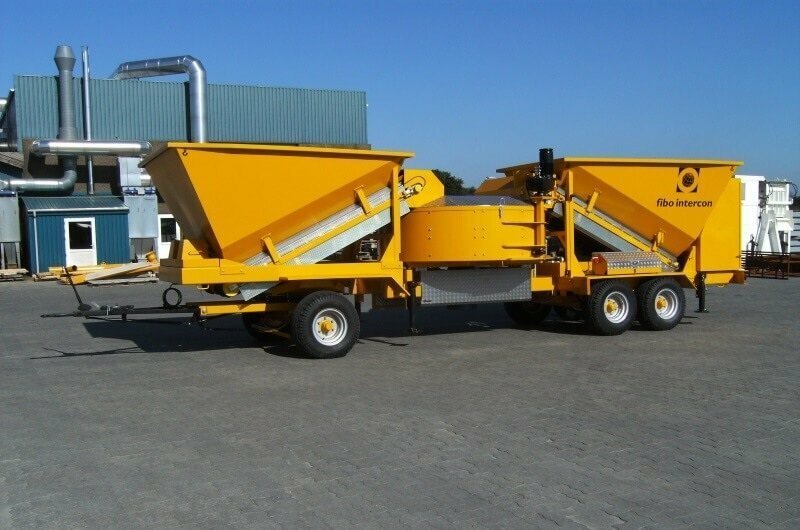 The B1800 can produce up to 30m3 of concrete per hour. The plant can be set up in a few hours and can be moved around the site to reduce transport times and improves productivity. The B1800 does not require a concrete base, reducing set up times and improving flexibility. 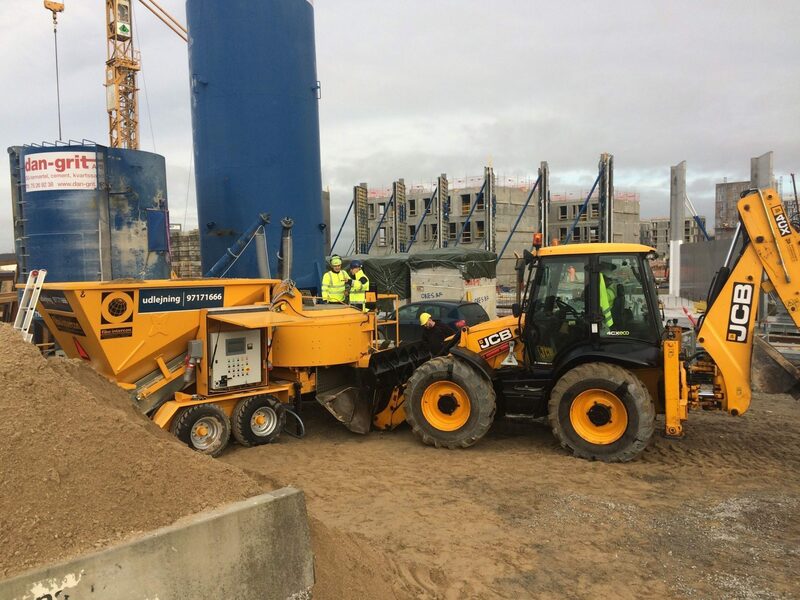 For every 1,000m3 of concrete required on site, the contractor saved €25,000. You can see the concrete batching plant set up in the image on the left. 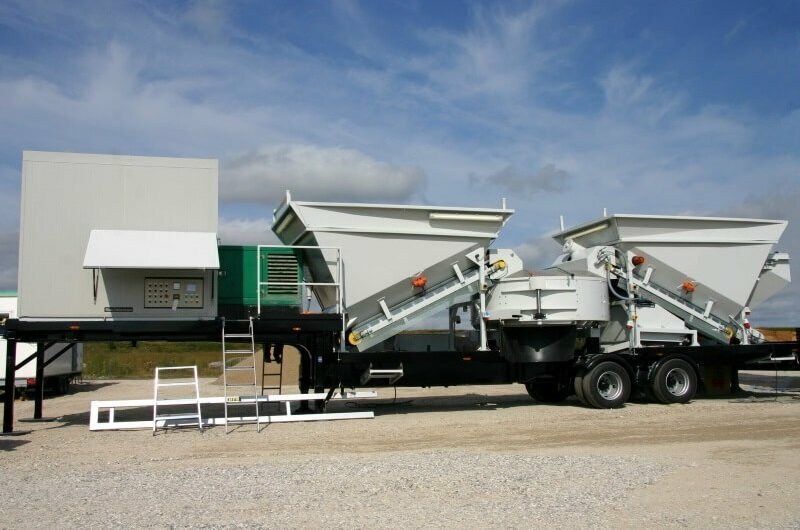 The aggregate and sand bays are very close for rapid filling of the batching plant hoppers. 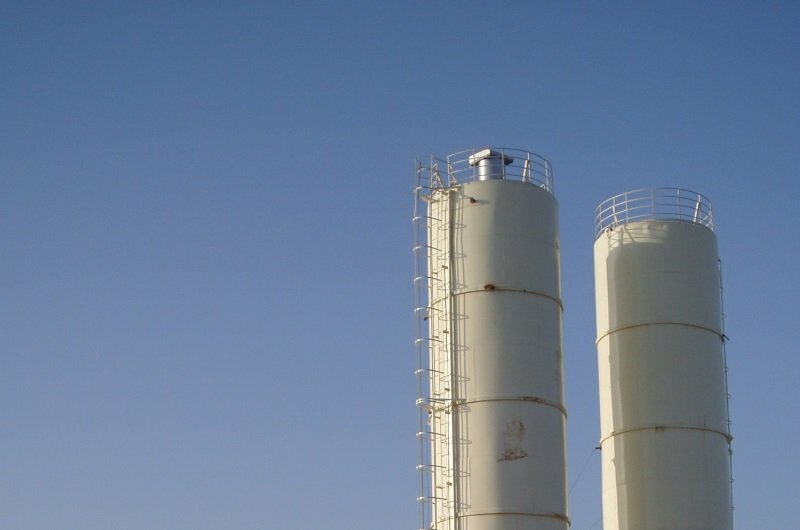 Productivity was increased by connecting a concrete pump to the batching plant.